Welcome to Covington Mill Mutual Water Company Division B Website. Please be patient as we add content that pertains to our water company. 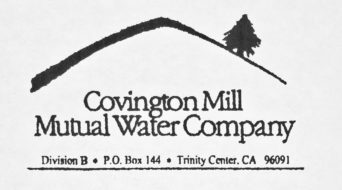 Covington Mill Mutual Water Company is focused on providing high-quality service and customer satisfaction – we strive to serve our Owners/Shareholders with affordable, reliable and safe drinking water, while protecting and preserving our resources. Our entire team is committed to meeting those needs. We welcome the opportunity to earn your trust and deliver you the best service.